In the globalising economy, human resources management is becoming a cross-border task, incorporating both: inter-disciplinary and international aspects. With offices in the emerging markets of Central and Eastern Europe, CATRO is prepared to be your partner in every challenge that your organisation faces in relation to your human capital. CATRO Bulgaria is part of the leading Austrian consultancy group – CATRO Personalberatung, dieBerater® and MAKAM Research, providing cutting-edge know-how in all areas related to human resources management and development. We are able to draw on the skills and knowledge of specialists with international experience and to offer our clients strong expertise in recruiting new talents, developing employees’ potential, providing HR consultancy and creating and implementing European projects. We take into account local market and culture specifics, strongly believing we are the most helpful to our clients by combining both the advantages of the global and the local experience and know-how. 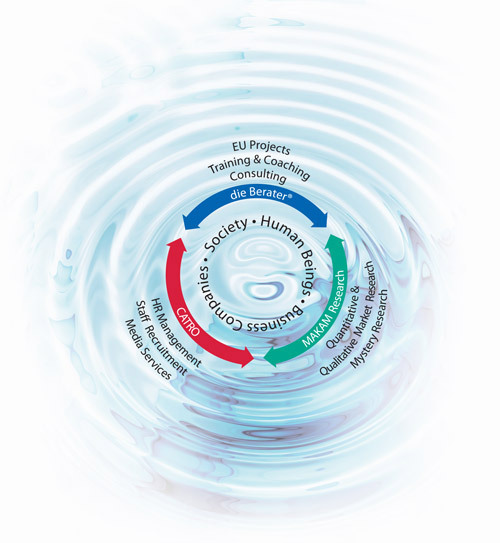 Since 2010, CATRO has been supporting its clients in Bulgaria in areas such as: Search and Selection, Training and Development, Competence Models, Performance Management Systems, Change Management, Coaching and European projects. Simply click through our detailed Service Pages, dedicated on each of our four main business pillars, to learn more about our approach and the concrete projects and expertise WE offer in each of these fields. In everything we do in CATRO, we apply a holistic and systematic approach: analysis, development and execution of strategy in relation to the organisational structure and the business needs of our clients, taking into consideration external factors such as market conditions and economic framework, combined with an ongoing and thorough evaluation of the effectiveness of our experts’ solutions and consulting services. Benefiting of the synergies in our group, we are reliable partner to our customers for all questions related to people management and people development in their organisations. Our vision draws a path and guides us in every detail of our clients‘ projects. 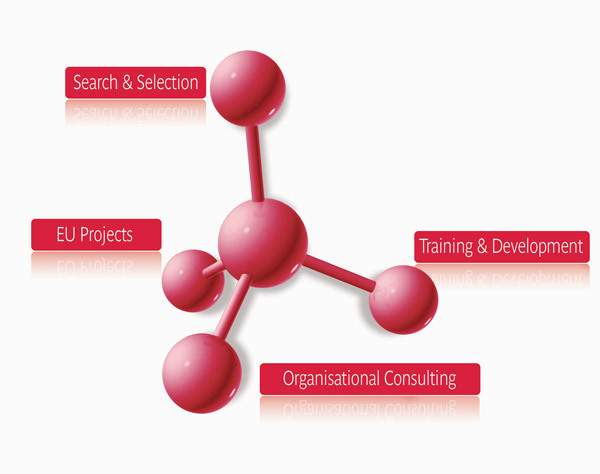 It represents the main actions we follow in order to achieve the organisational success that our clients are aiming at. We grow and develop, empower, support, engage, inspire your people. Our mission declares our purpose as a consultancy company, symbolises our main motivational force in our work. Driving your organisational success by maximising the value of your human capital. Our values represent our internal drives and genuine attitude describing how we approach every challenge in our clients’ business and in our work.